As concerned citizens we call on you to take immediate action to stop the housing crisis in Attawapiskat and in other struggling First Nations’ communities by extending the funding needed to eliminate the housing crisis and to get clean water that wont burn children’s faces. The Red Cross has taken action and now it’s time you do same. The Harper Government is sitting back and watching while the Red Cross tries to stop hundreds of Canadians from freezing to death in Attiwapiskat -- our outcry now could save lives. Members of the Attawapiskat community are forced to live in wood frame tents and construction trailers in temperatures that are already 20 degrees below zero. 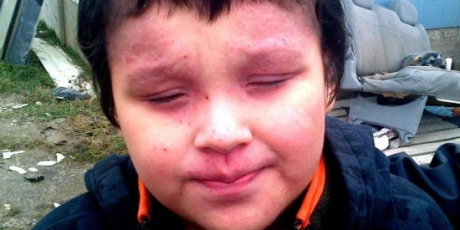 Children haven’t had a school to go to for over 10 years and the community's drinking water is so bad that it corrodes pipes and burns children’s faces -- yet Harper refuses to act. It’s outrageous! But we can help stop this crisis by signing this petition calling on Aboriginal Affairs Minister John Duncan to give Attawapiskat the money it needs to put our neighbours in houses and Canadian kids in schools. Duncan only won his seat by 3.1% so we can show him that he needs to show some compassion if he hopes to keep his seat in the House of Commons. Click to sign this petition and forward to family and friends.